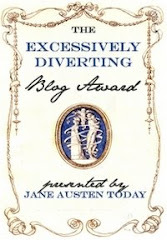 The Victorian Peeper: "From Mama V.R. to Helena"
"From Mama V.R. 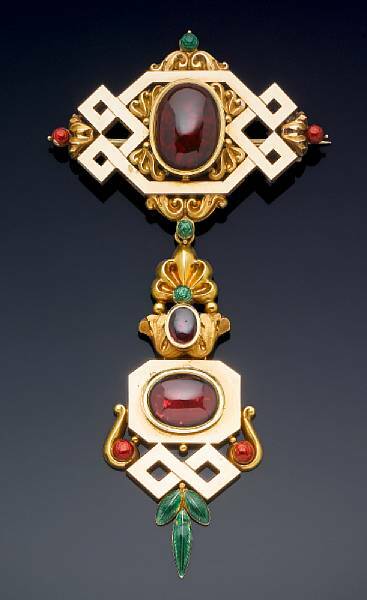 to Helena"
A gold, enamel, and garnet bodice brooch from 1830 that belonged to Queen Victoria made fourteen times its pre-sale estimate at auction last week, selling for £11,400. The intricately worked brooch features two large cabochon garnets in a setting of green and red enamel. The brooch (shown at left) originally belonged to Victoria, Duchess of Kent (DNB bio here, Wiki bio here), who on her death in 1861 left her jewelry to her daughter, Queen Victoria. 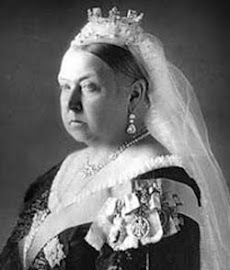 Queen Victoria subsequently gave the brooch to her fifth child and third daughter, Helena, Princess Christian of Schleswig-Holstein (DNB bio here, Wiki bio here), as a present on her 24th birthday in 1870. The reverse of the brooch has a simple yet very personal engraving: “Belonged to dear Grandmamma V. From Mama V.R. to Helena 25th May 1870." Although Princess Helena married the German prince Christian of Schleswig-Holstein in 1866, the couple remained in Britain close to the Queen, who liked to have her daughters nearby. Helena was an extremely active member of the royal family, carrying out an extensive program of royal engagements. She was also a committed patron of charities, and was one of the founding members of the Red Cross. She was also the first president of the Royal School of Needlework and the first president of the Royal British Nurses' Association. She is, perhaps, my favorite of Queen Victoria's children...the Jan Brady of the Saxe-Coburg-Gotha clan. She fell in love with her father's German librarian, who was promptly sent back to the continent when "Mama V.R." discovered the liaison. There is an excellent biography of her by Seweryn Chomet, Helena, A Princess Reclaimed: The Life and Times of Queen Victoria's Third Daughter (New York: Begell House, 1999). I don't know anything about early 19th century jewellery, but that gold, enamel and garnet bodice brooch (1830) has an unexpected look to my eyes. Very bold modern geometric patterns combined with rich traditional florals and twirls; large garnets with add ons in green, orange and red enamel. Even the gold has at least two diffent colours. Thanks for your comment. It does look very modern, doesn't it? It strikes me as vaguely Art Deco-ish. This reminds me of something out of the Byzantine Empire as well...funny that it is so timeless.